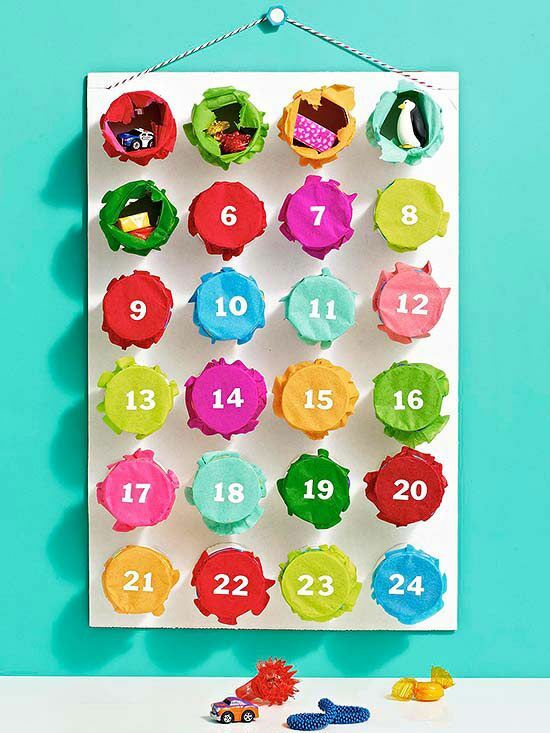 How fun is this bright, modern calendar? 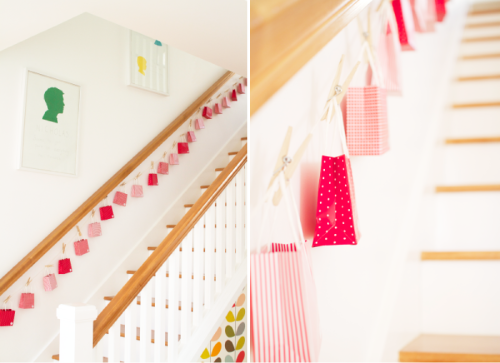 I love how just pulling together odds and ends from the house could turn into such a cheerful calendar! I’m a sucker for pallet art, which is probably why I’m drawn to this minimalist wood calendar with big impact. 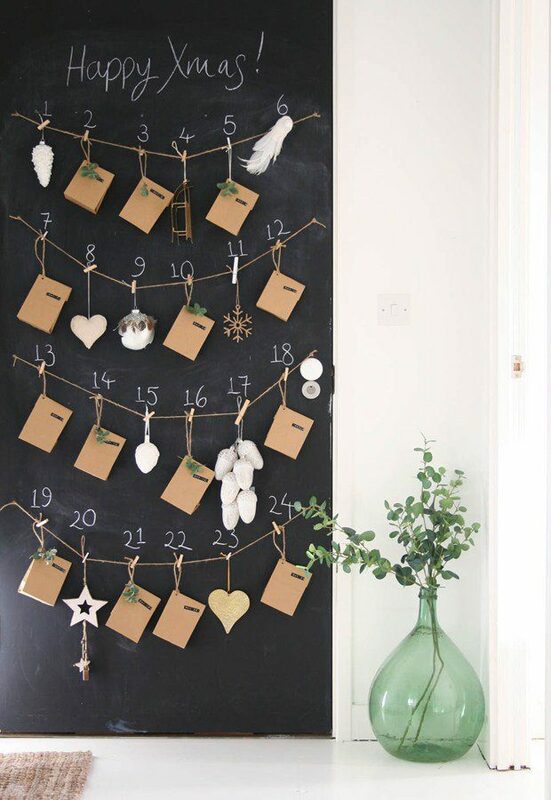 I love the simplicity of this woodland calendar. Even better, it’s made from a basic shoe organizer that can be used for storage the rest of the year! 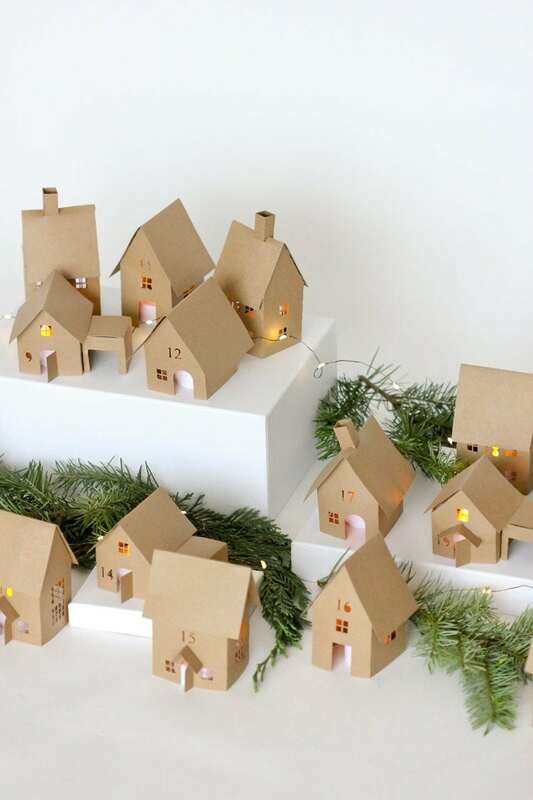 I’m smitten with this charming Advent village made of cardboard! Just download the free files to make this with your cutting machine. 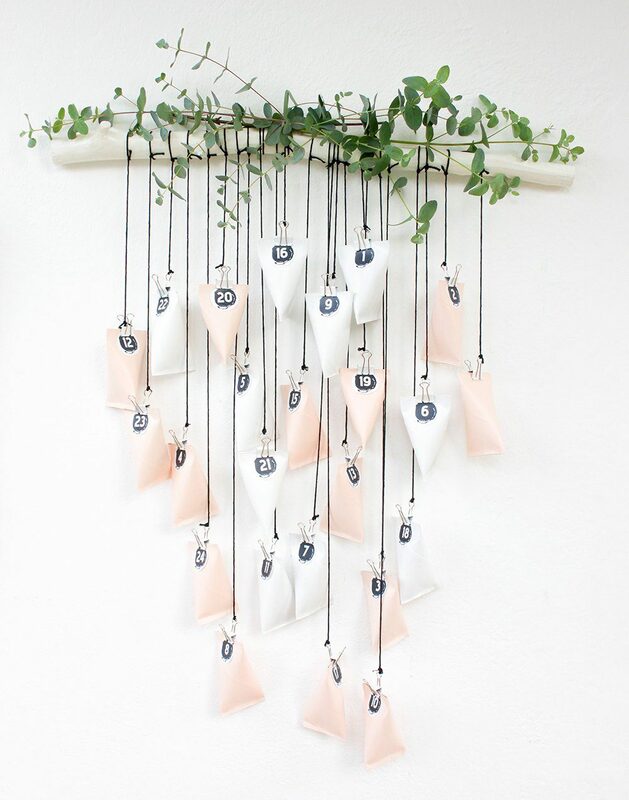 This sweet and simple blush calendar is such a beautiful decor piece. 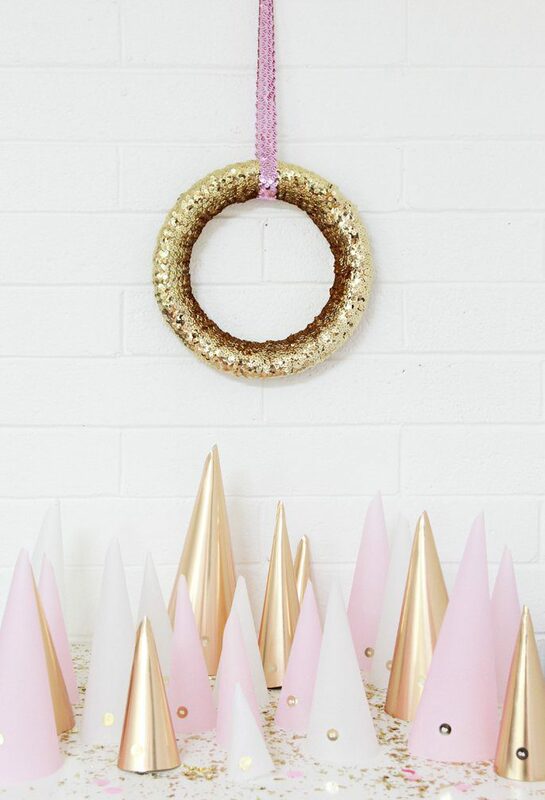 Even the most awkward crafter could pull of this adorable cone Advent calendar. I love the non-traditional Christmas colors used here! 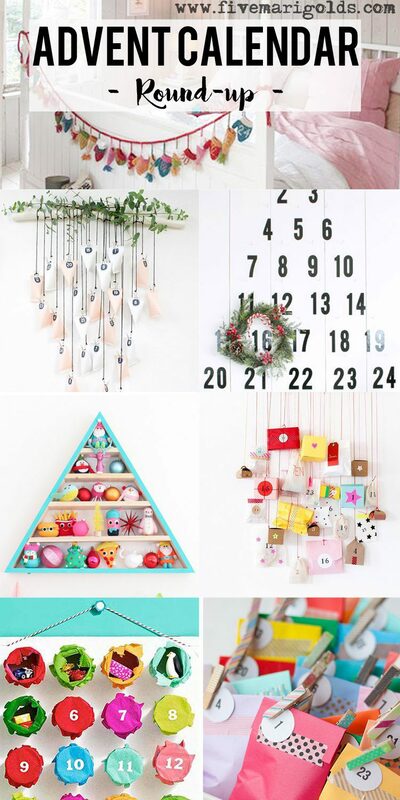 My kids would flip if I put together a treasure tree like this countdown calendar. 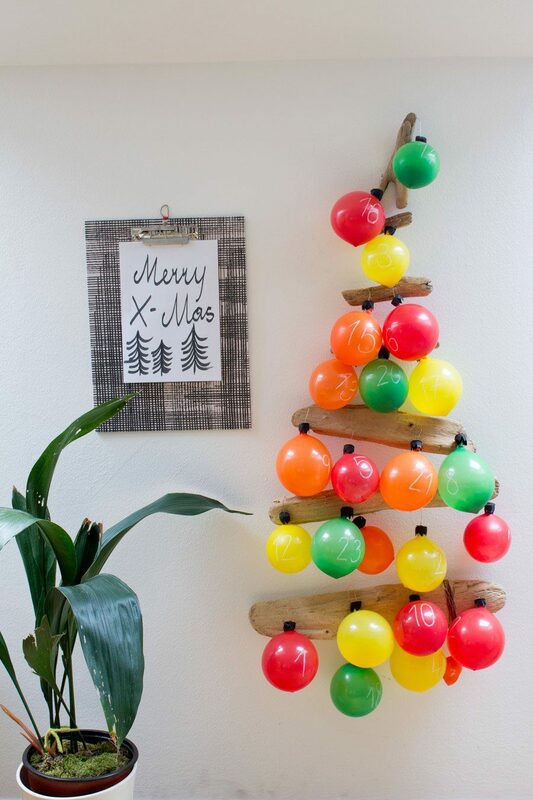 How fun is this balloon ornament idea? 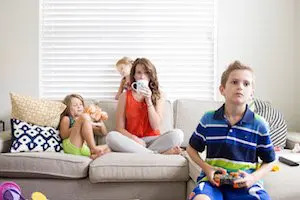 My kids would fight over whose turn it was to pop the next ornament! 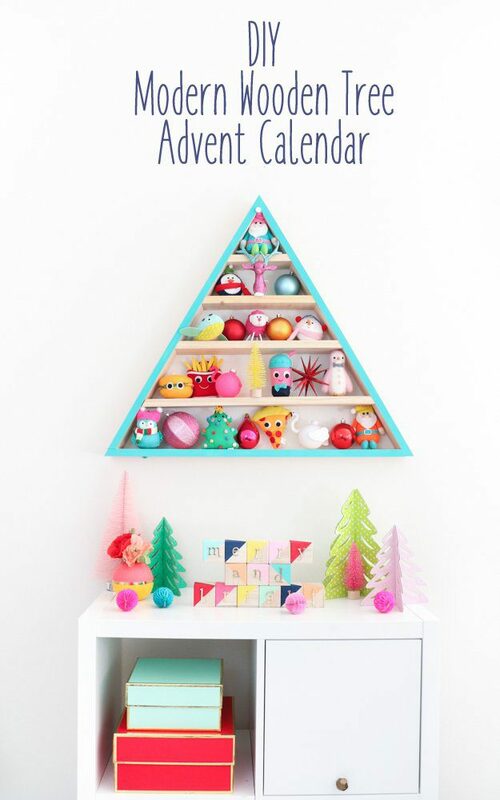 Of course, I’m also partial to this felt Christmas Tree Advent calendar. 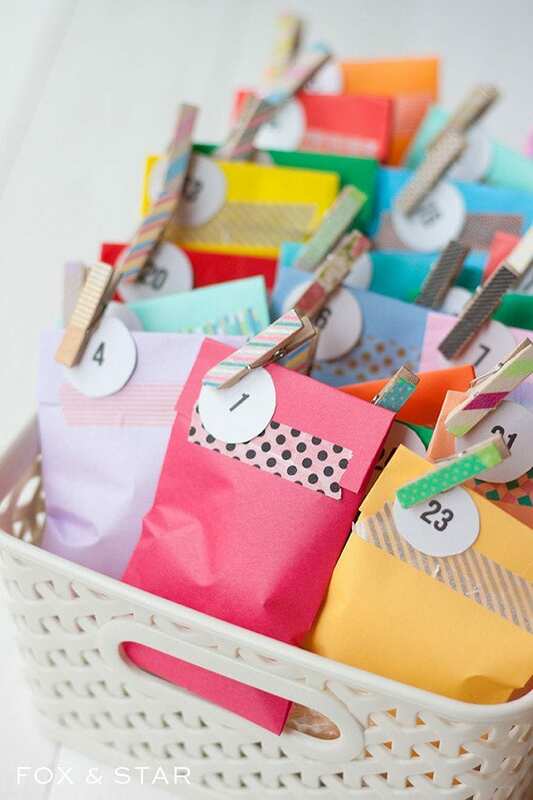 Love this idea for a DIY calendar the kids can make using colorful paper crafts. Since I’m a big fan of chalkboard decor, it probably doesn’t surprise you that I am also a big fan of this countdown calendar. How about this colorful punch out countdown using upcycled tissue paper tubes? 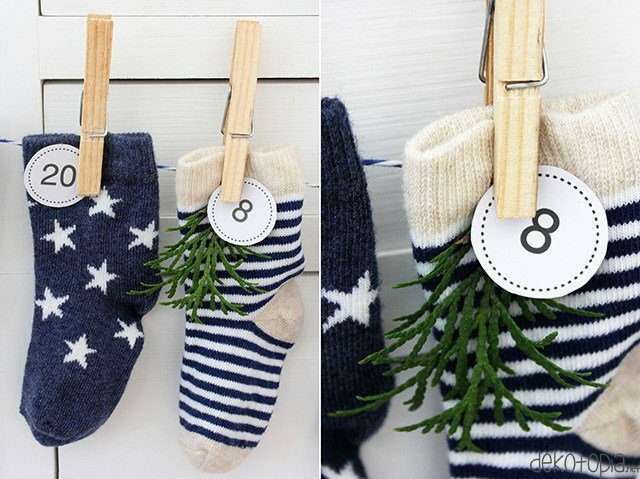 This countdown is two of my favorite things: easy and inexpensive! 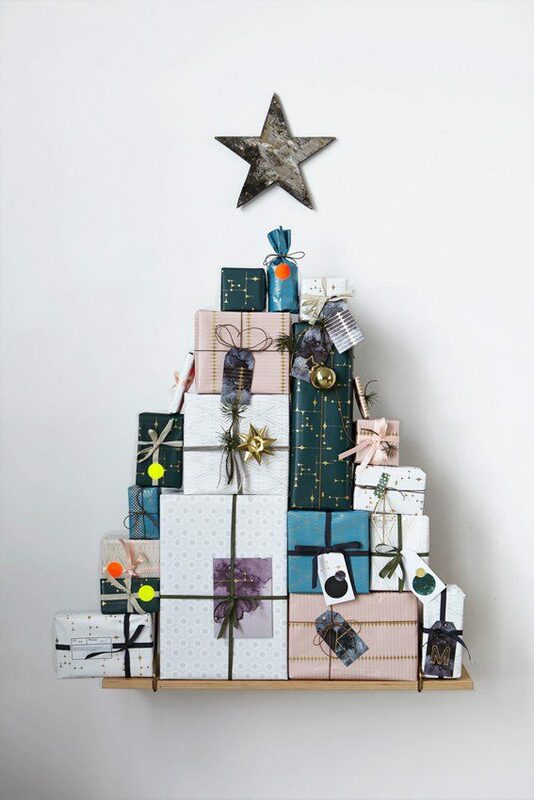 Do you count down to Christmas with an Advent Calendar? I’d love to hear about yours in the comments below! 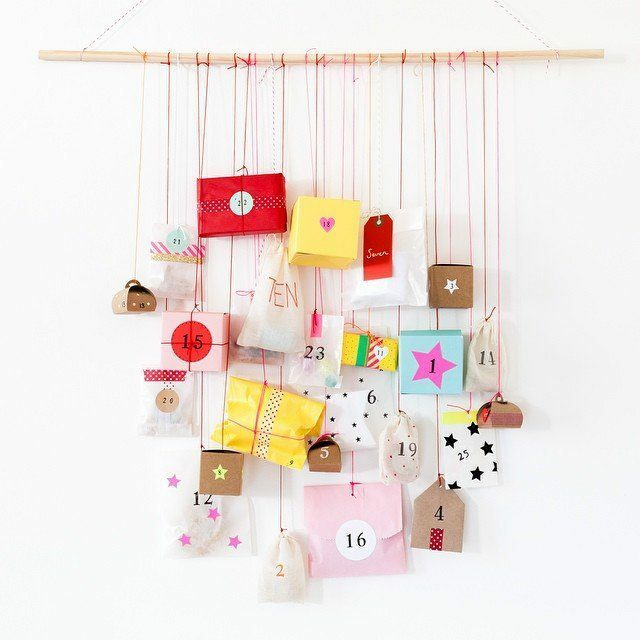 Do you celebrate the season with an Advent calendar? Tell me about yours in the comments below! I love all of these ideas. I think my favorite is the balloon tree one its different. Thank you for sharing these. 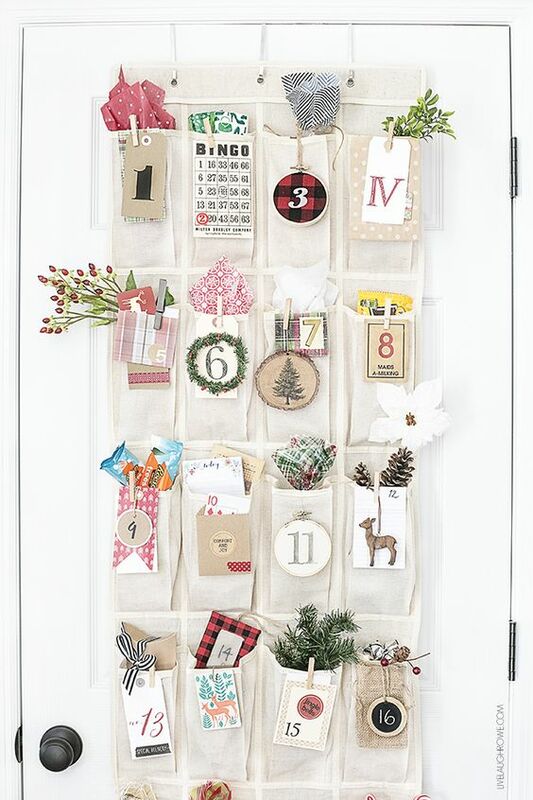 These advent calendars are adorable. How on earth did you choose which to make? Pinning this for later. I had better decide quickly since there is only one day left until December! Thank you so much for your clever collection. These are great! I SWORE I was going to do one by December 1 – think I can pull it together in 3 days?! We don’t do an advent calendar in my house…but boy, this sure did tempt me! These are fabulous!